Few of the great works of ancient Greek literature are easy reading. They nearly all need study and comment, and at times help from a good teacher, before they yield up their secret. And the Poetics cannot be accounted an exception. For one thing the treatise is fragmentary. It originally consisted of two books, one dealing with Tragedy and Epic, the other with Comedy and other subjects. We possess only the first. For another, even the book we have seems to be unrevised and unfinished. The style, though luminous, vivid, and in its broader division systematic, is not that of a book intended for publication. Like most of Aristotle’s extant writing, it suggests the MS. of an experienced lecturer, full of jottings and adscripts, with occasional phrases written carefully out, but never revised as a whole for the general reader. Even to accomplished scholars the meaning is often obscure, as may be seen by a comparison of the three editions recently published in England, all the work of savants of the first eminence, or, still more strikingly, by a study of the long series of misunderstandings and overstatements and corrections which form the history of the Poetics since the Renaissance. The Twm Co range is available in 9,14, and 18ct yellow, rose and white gold, platinum, titanium, palladium and silver are also available. All our standard diamonds are VS clarity and G colour. 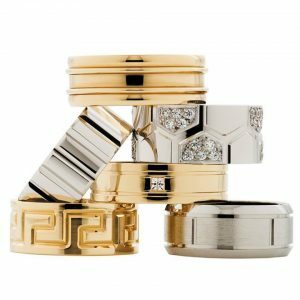 Created to suit every individual, we produce our rings in a wide range of widths and sizes and are flexible on all designs. We also offer engraving on top and inside of rings and have a ring designing service to optimise your individual brands range. Our standard delivery timframe is 10 days. TWM Co rings are proudly and passionately Australian made. For further information contact us info@twmco.com.au or 03 9547 3113.